Move over Zenfone 3 Ultra. Take your 6.8-inches and get outta here! There is a new sheriff in town (size only) in the 6.9-inch Zenfone Go. To be clear we’re just having fun a bit on the mention of the Zenfone 3 Ultra because this 6.9-inch Zenfone Go is super ultra budget and has meager specs in comparison to the main Zenfone 3 line-up. So Asus did take the wraps off this new Zenfone Go during the Indonesia Zenvolution event but it has been a long while without any new information or official pages. So now is the time we can dig deeper on this rather unique offering. 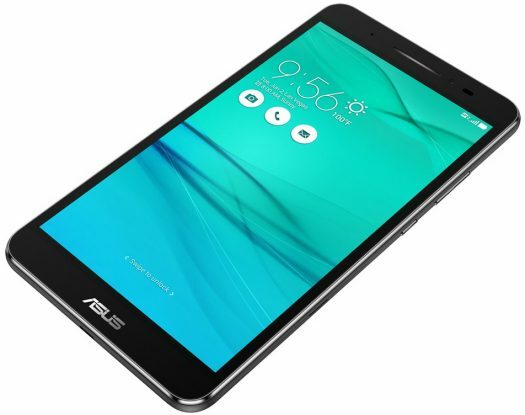 Asus also just took the wraps of a new ZenPad C 7.0 (Z171KG) which is eerily similar to this Zenfone Go. So like we said, this Zenfone Go is ultra budget with a low resolution screen, 1GB RAM and 8GB storage. Keep in mind too that this storage can be expanded via a microSD card.